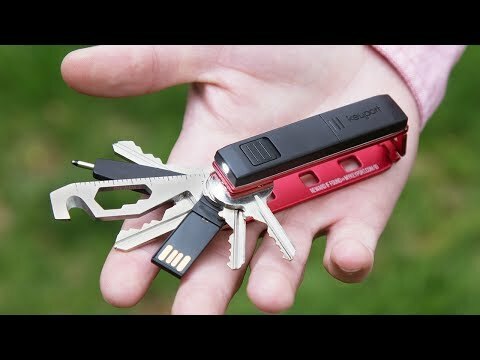 Equip your Keyport multi-tool keychain with a handy pocket knife. It fits neatly in the streamlined Keyport and has a slip joint blade lock so you can take it out during airline travel and then just as quickly reattach it when you unpack your luggage. Dimensions: 2.87" x 1.27" x 0.24"; Closed: 2.87”; Extended: 5"
Well designed, quality materials, and operation. Uncommon product in today's how cheap can we make it world. 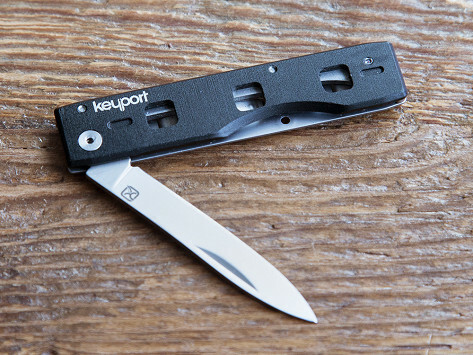 Keyport is like a customizable Swiss Army Knife. Equip this multi-tool keychain with anything you want at pocket’s reach. Your keys, flashlight, knife, USB, pen, and location tracker will all be streamlined in a single, pivoting gadget. Once you’ve loaded up your Keyport, you can lock it in place. The resulting instrument is compact, smooth, and won’t loosen over time. And it’s as reconfigurable as you want it to be. Add and subtract tools on whim quickly and easily. Aside from serving in the U.S. Navy and practicing architecture, Maker Josh Downes is an avid motorcyclist. Before hitting the road, he’d take his motorcycle key off his keychain to keep it from scratching his bike in the wind. He started brainstorming a more straightforward way to carry all his essentials at once. Keyport dulls the jingle-jangle and cuts back on the bulk. Arrange all your loose pocket items into a tidy, slim device.